Each Box contains Three Chase Cards (One Guaranteed Autograph) and One Base Set or 0 Celsius Card! Look for between Four to Six Letterman Patches Per 8-Box Case! Find One Diamond Relic Per 8-Box Case! - Three Additional chase cards (One guaranteed Autograph/Two additional Autographs or Chase Cards). 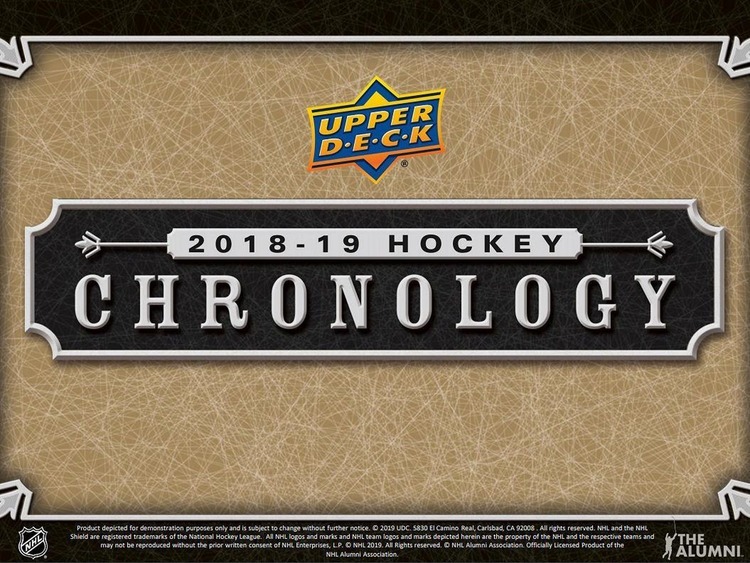 The 1st release in connection with the NHL Alumni Association highlighting retired players. Chronology Vol. 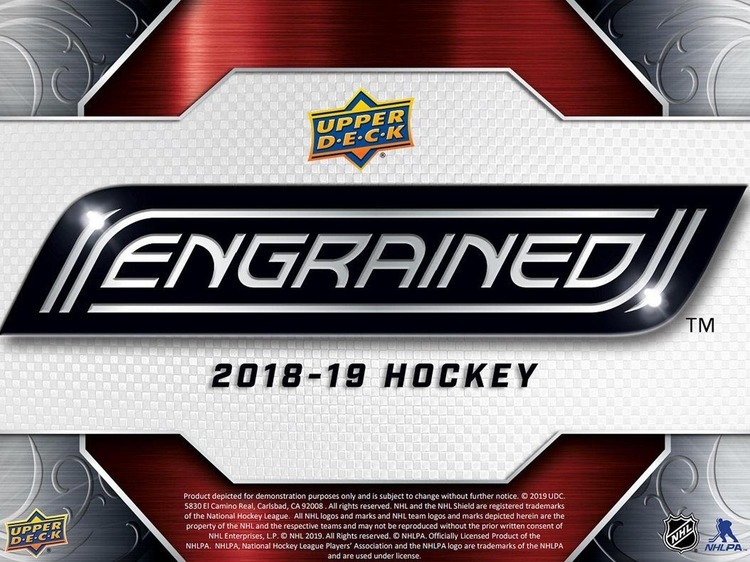 2 (releasing summer 2020) will consist of current & retired players, thereby creating one of Upper Deck's most comprehensive living sets. Look for the famed Canvas Masterpieces cards. 50-card set, continuing the lineage of the famed basketball Chronology Masterpiece painted cards from a decade back. Featuring original art from the trading card industry's finest sports artists. Grab Green Border and Black Border parallels, #'d as low as 1-of-1. Collect Franchise Heroes autographs! Unbelievable checklist of approximately 300 signed cards. Cards feature team-based prefixes allowing team collectors to build team sets. Find Letterman Patches, including a sprawling checklist of up to 200 different players. Every player featured with a full nameplate of letter patches to collect. 90% of letter patches are signed and all of them serial #'d of 20 or less. Look for between 4-6 Letter Patches per inner, on average. Look for Time Capsules, a unique insert set featuring a mini-sized card hidden within a standard sized card! 50 standard-sized cards, including rare gold and black parallels. 192 different Minis (serial #'d of 60 per), plus Black Auto parallels serial #'d of 30 or less! Look for 50 different Canvas Masterpiece Original Art 1-of-1 Redemptions (within the mix of "hidden" Minis). Plus additional Easter egg minis! Diamond Relics - including auto versions, seeded at a rate of at least (1) per inner, on average. Gold premium parallels - up to 100 cards #'d of 25 or less featuring auto, memorabilia, or combo auto/mem. Combo Cuts - true one-of-one dual cut signature providing massive chase hits. Dual, Triple and Quad autograph cards! 1 in a 100 - gorgeous chase set including autograph, memorabilia and auto-memorabilia combo variants!